Do you have hearts in your eyes yet? Valentine’s Day is so much more exciting when you have kiddos to celebrate it with. Suddenly, all those sappy, silly cliches are totally fun. I actually embrace the hearts and the pink and red explosion. It’s all part of the kid-friendly version of the holiday. I don’t need the chocolates and flowers and fancy date night, not really (though, hey, they’re nice too). But give me a big fat heart doodle from my Birdie and I’m a happy camper. 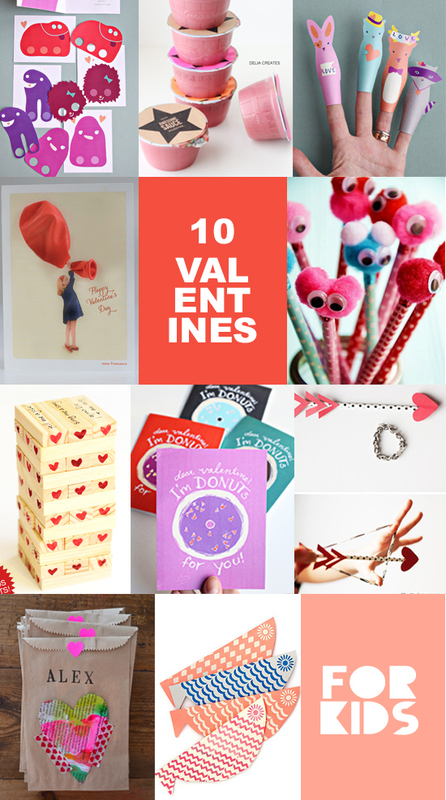 In honor of those kiddos everywhere, here’s a list of 10 awesome DIY Valentine’s for kids – so many of these are especially grand for class Valentines too!